I was looking forward to this race after manning the computers on the Night Champs left me without a run. Enjoyed the first bit with very few errors. Had direction problems with 4-5 showing that i probably rely a lot on the topography and not on my compass which ends up with me running a good 30degrees off th correct bearing, the same can be said for 5-6 and 8-9. 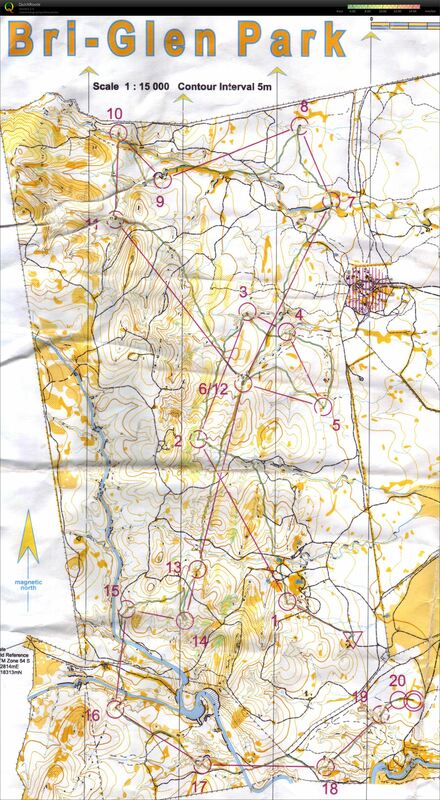 It became apparent that as i got tireder my orienteering got sloppier with a big deviation in direction from 14-15 back towards 13. I hit the wall climbing in the creek to 16 and then completely blew out with a hit of Tachycardia on the way to 7 which lasted for around 3mins. I don't know what caused it, but it hasn't happened for some time now. Will have to check into a doc to try and get to the bottom of it... Clambering out of 19 i ran straight into a low branch as i left the control with head down and put a nice scratch on my neck. 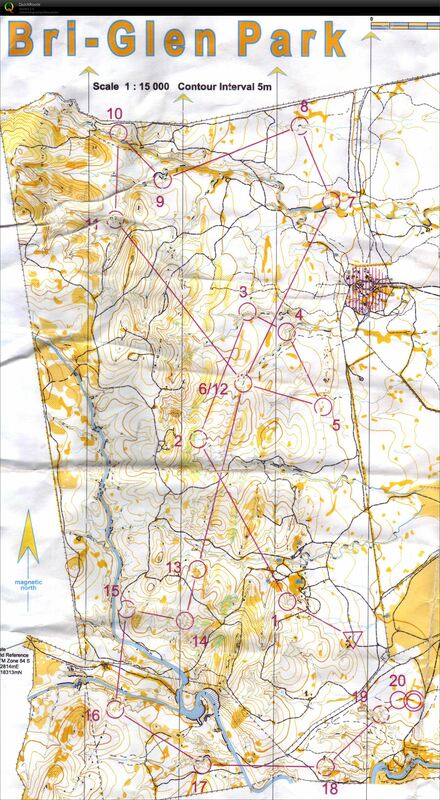 Really it was far from perfect orienteering technique from me, but a throughly enjoyable day out depsite everything.